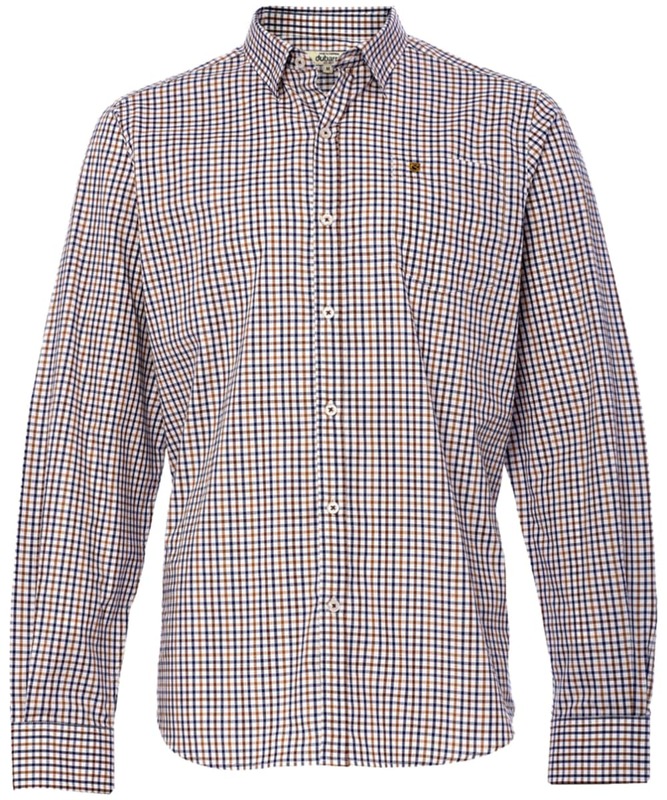 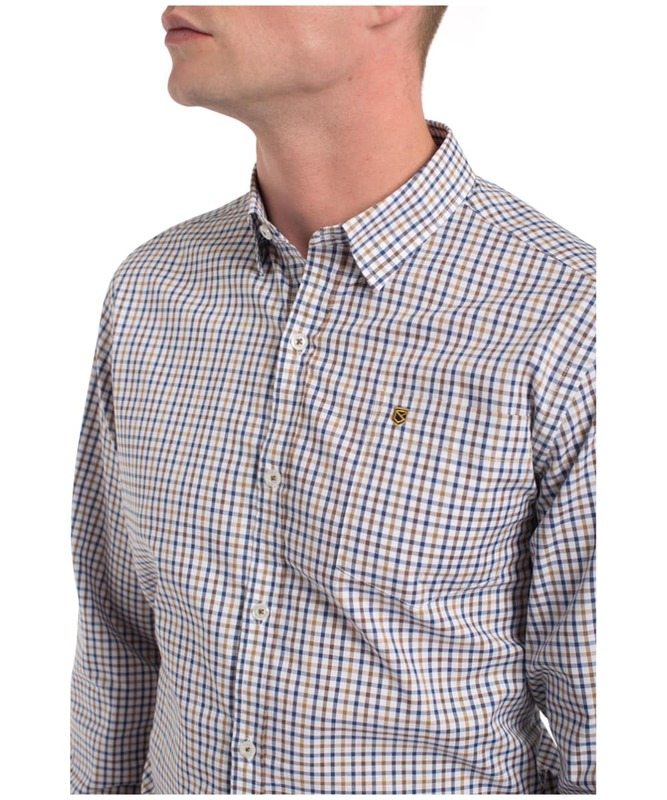 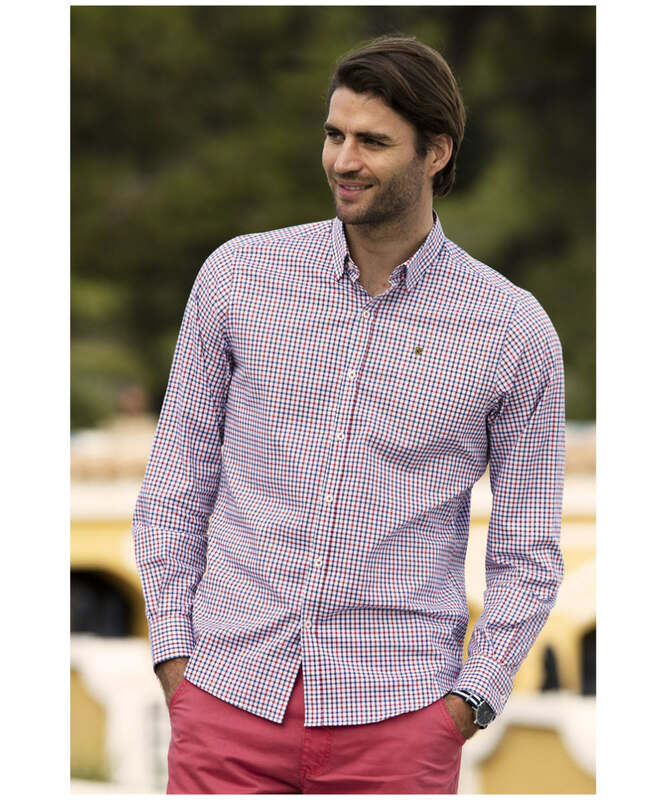 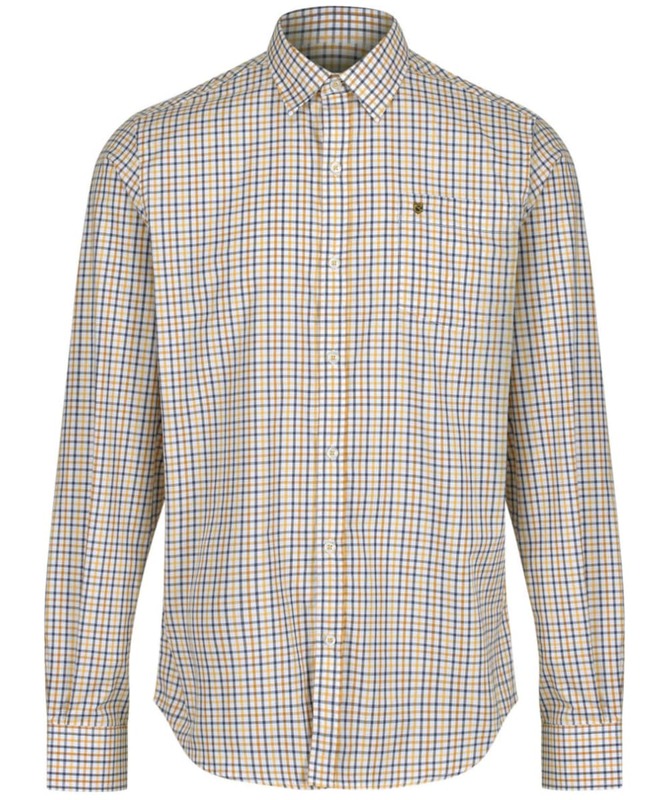 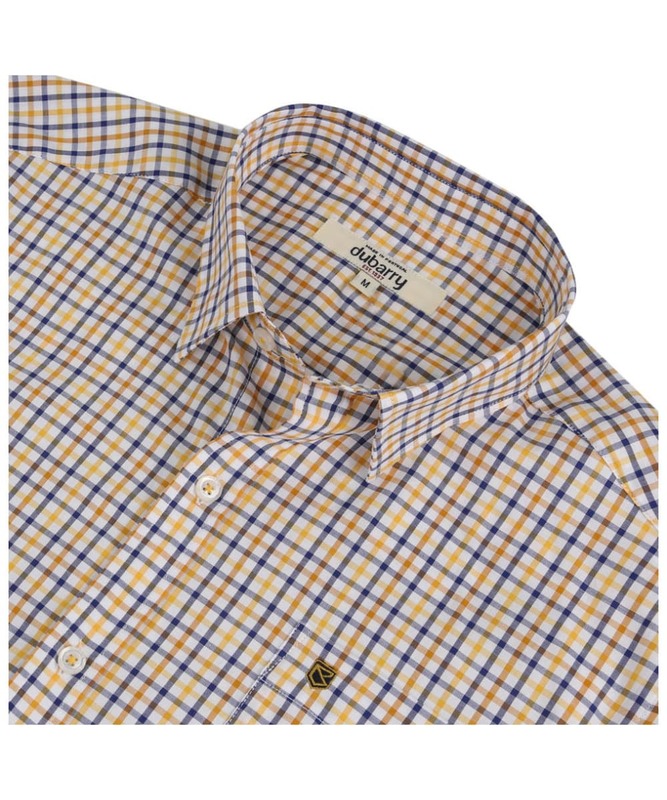 This 100% cotton poplin Dubarry Ballincollig shirt has been constructed using individually dyed yarn which will enhance and improve the clarity of colour for seasons to come. 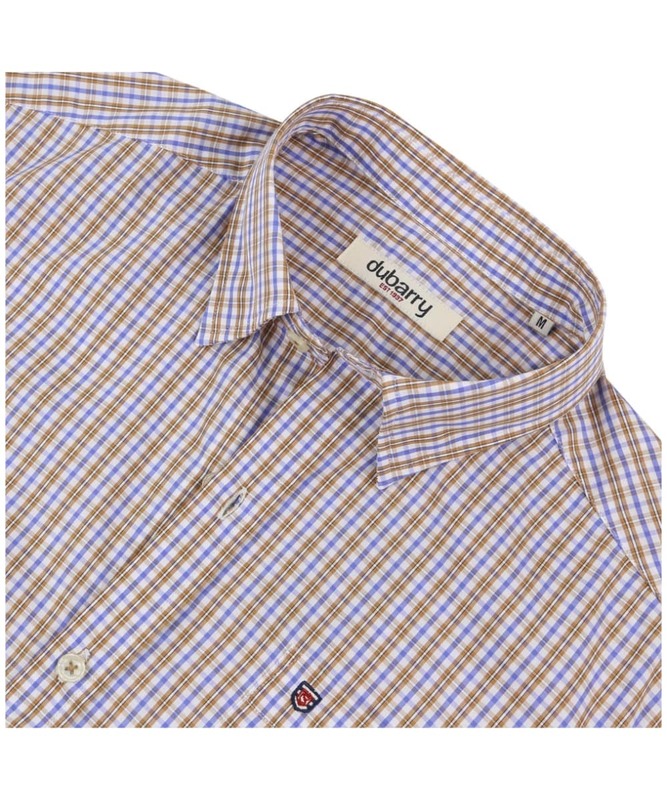 The fine attention to detail that we have come to expect from Dubarry includes neat branding embroidery on the left chest pocket and imitation faux pearl buttons along the placket and on the hidden button down collar feature. 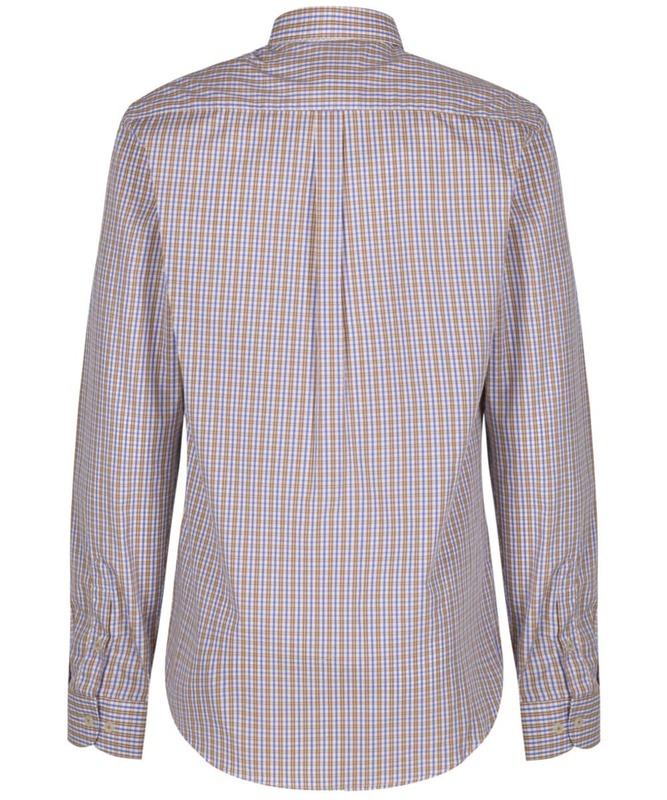 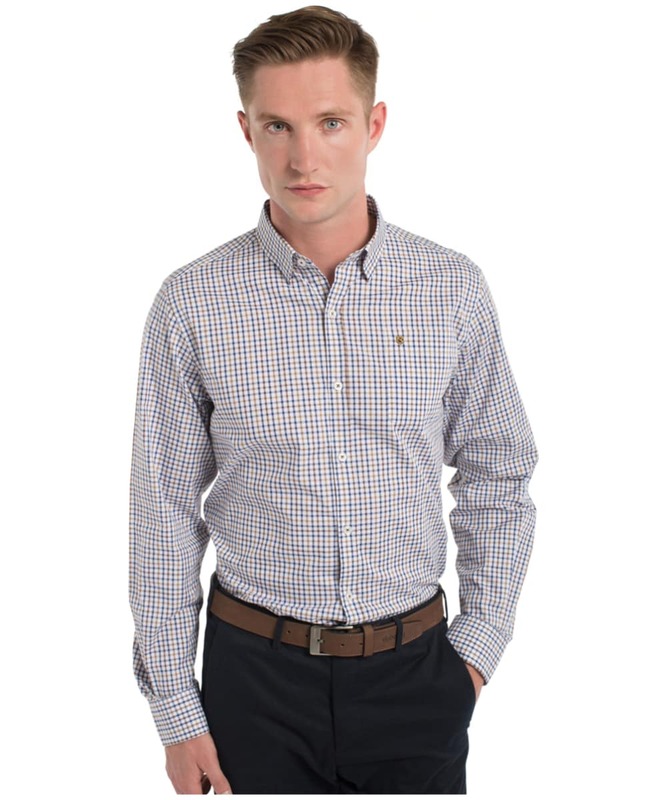 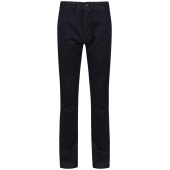 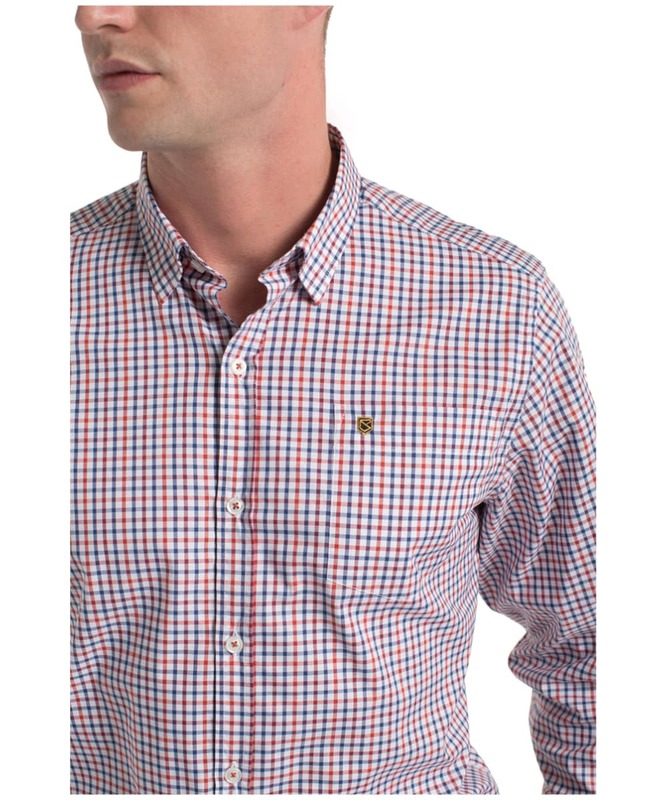 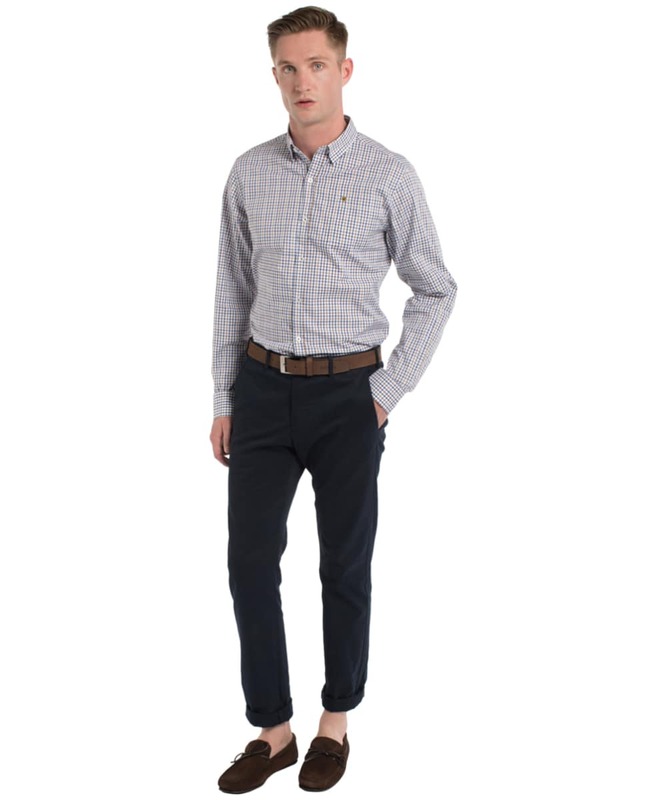 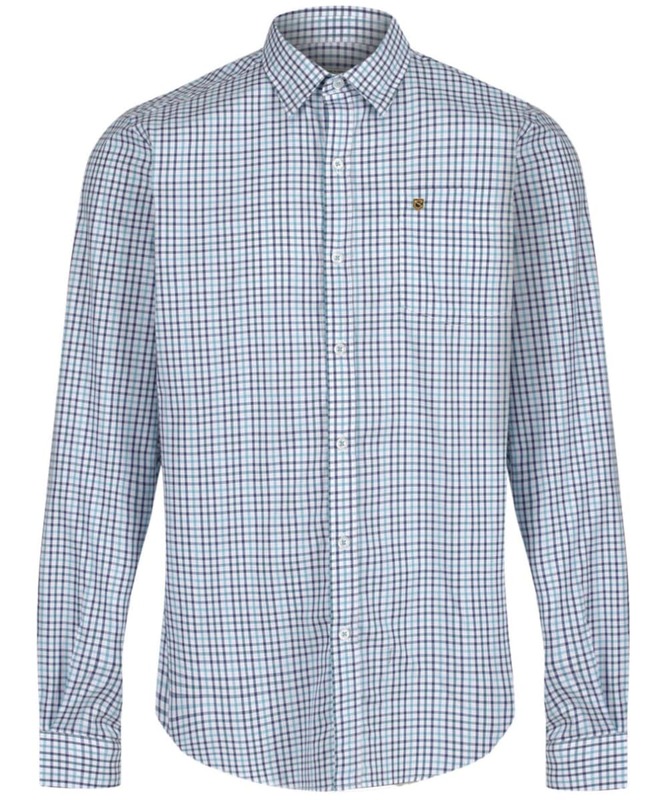 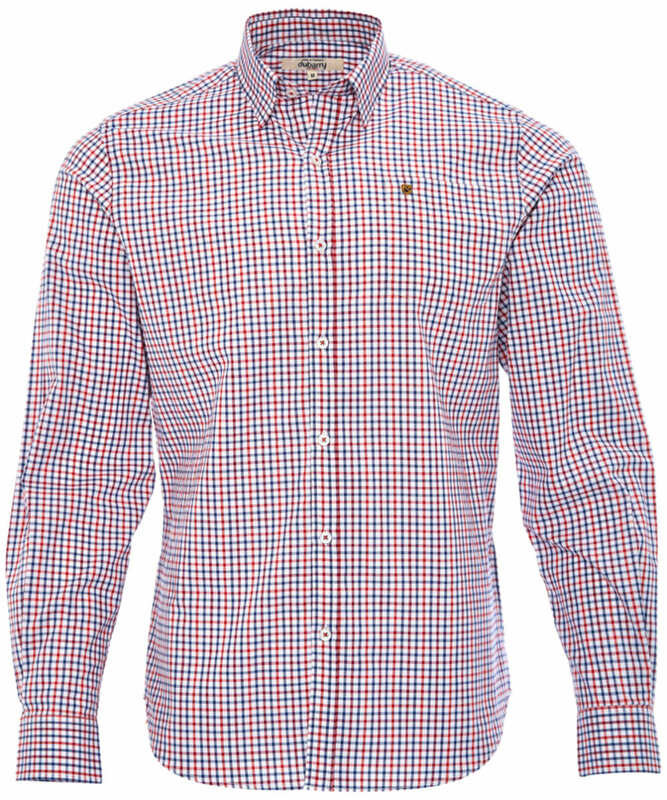 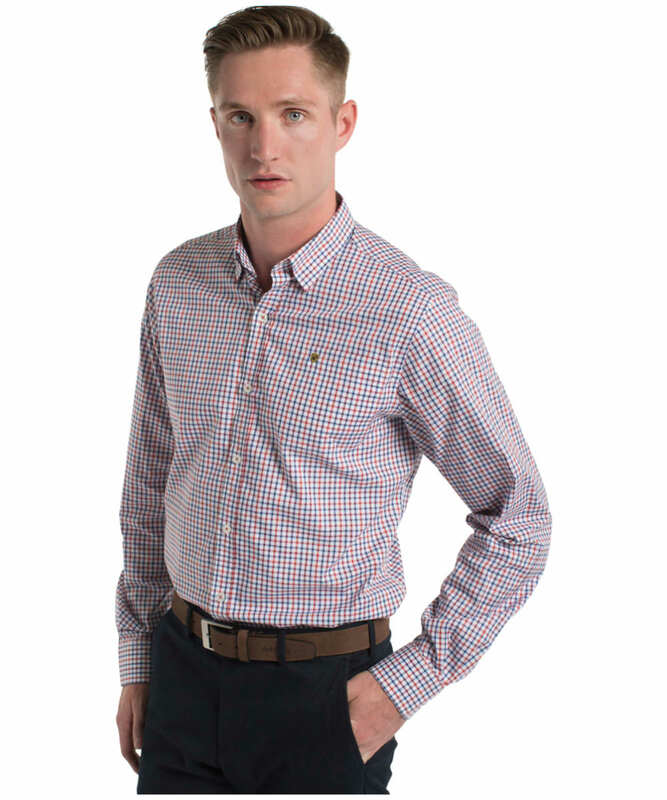 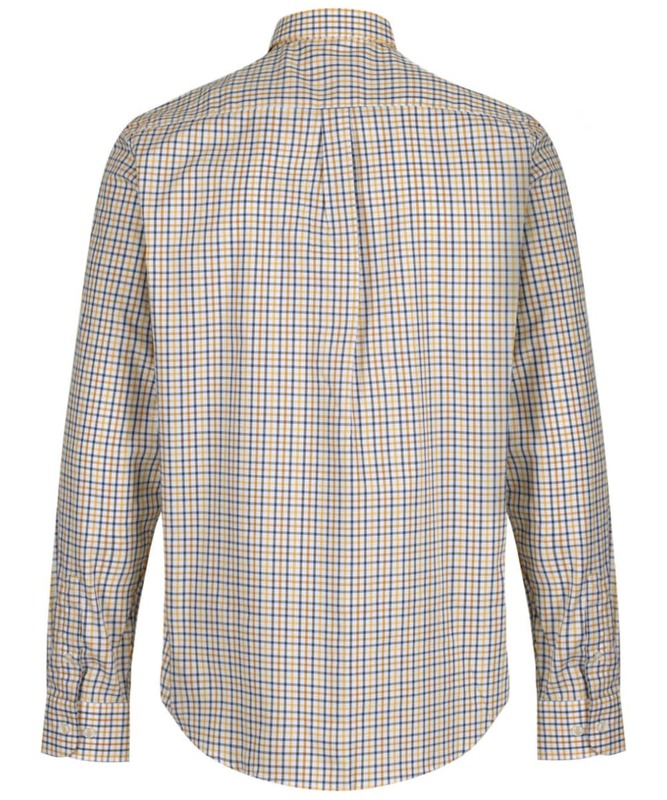 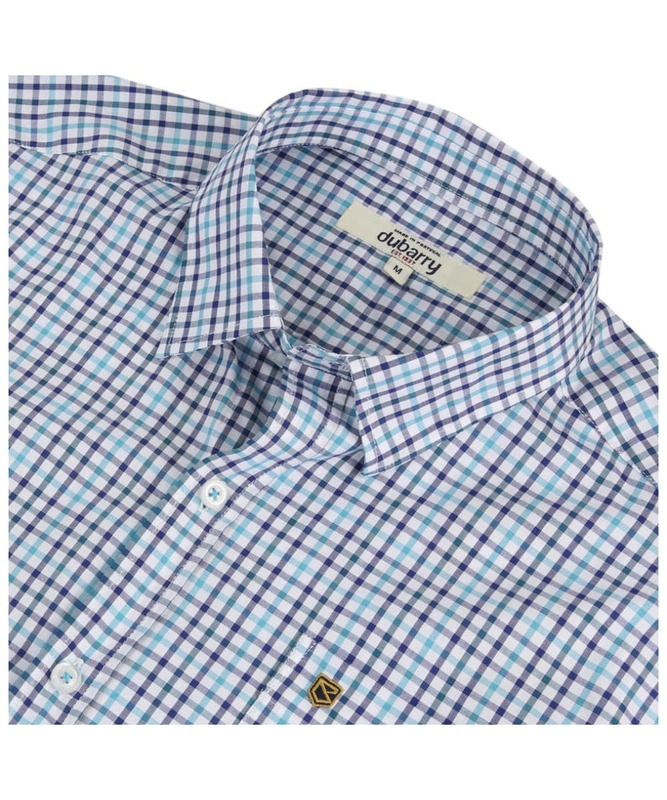 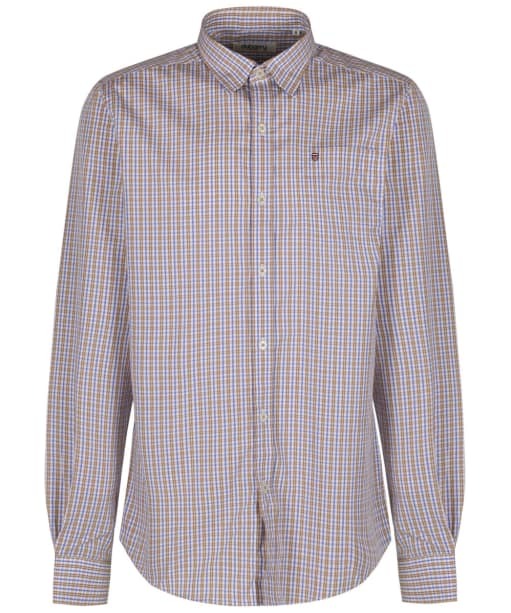 This impeccably tailored shirt is ideal for pairing with jeans or cord trousers and layered underneath a V-neck sweater. 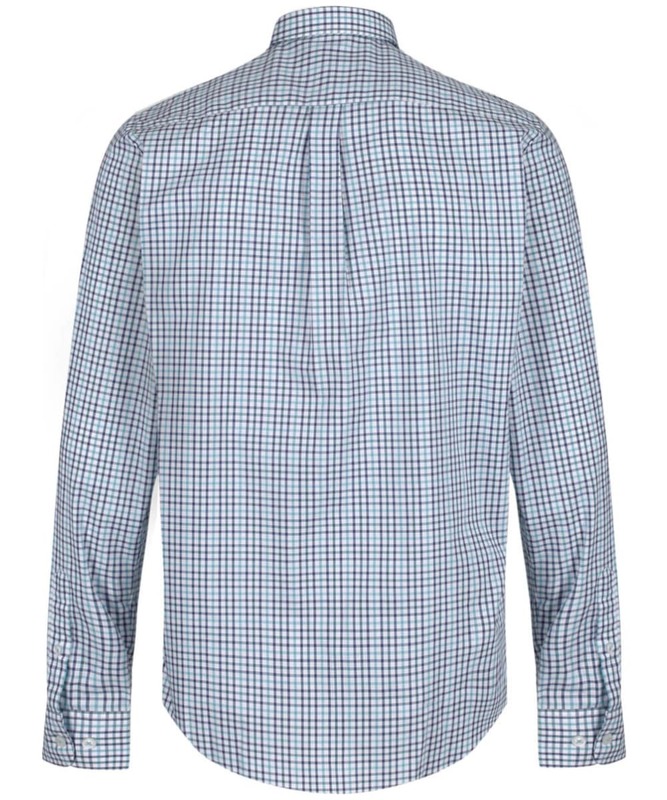 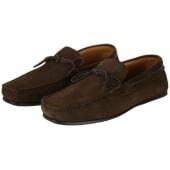 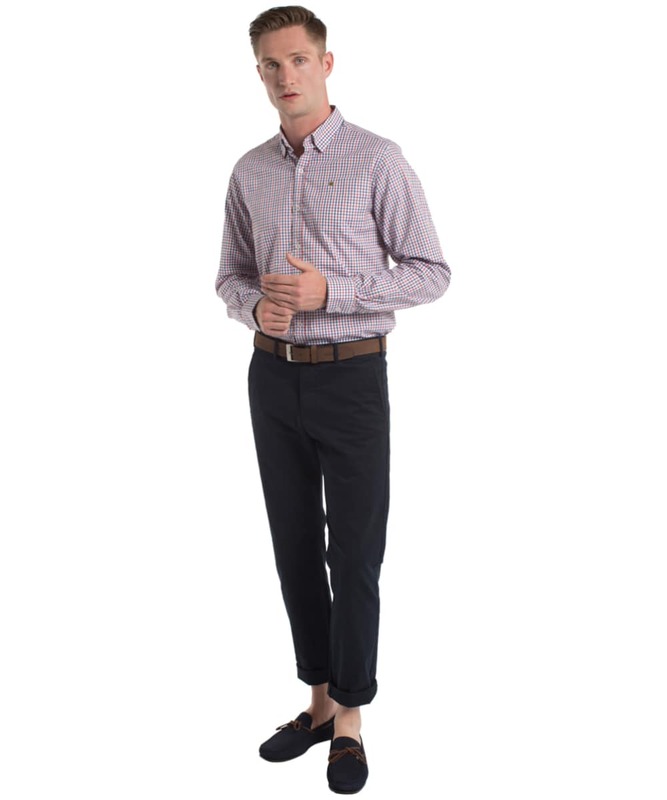 When the weather is warmer, make use of the fully functional sleeves and roll the cuffs for a relaxed summer look.